High readmission rates are a $17 billion problem across the U.S. for hospital administrators. What’s even more alarming is a portion of 30-day readmissions are preventable. According to a recent University of California, San Francisco (UCSF) study published in the New England Journal of Medicine, 27 percent of readmissions could be avoided. This study shows hospitals must improve communications between patients, physicians, hospitals, and primary care providers while providing better post-discharge resources. Imagine that, as a patient, you are sent home from the hospital with a stack of discharge papers. Are you more likely to read every sheet carefully or to stack it in a corner, never to be looked at again? A solution to the readmissions problem emerged at the May 2016 American Telehealth Association Annual (ATA) Conference: The Post-Hospital Discharge Solution developed by Stratus. The solution was designed to support the management and monitoring of every patient’s unique recovery during their most critical time post-discharge from the hospital: the first 30 days. By offering a workflow that aligns with the patient’s recovery period, the solution automates follow-up reminders, connecting patients and providers over a secure video call, and allows for patient Q&A. The video platform enables HIPAA-compliant calls to be made over public Wi-Fi and 4G connections. Every call is encrypted from end-to-end, providing healthcare providers virtual consult technology that provides visual confirmation of medications, doses, and patient visual. The program reduces cost and re-entry into the hospital, which has shown tremendous savings to the healthcare provider. Now, imagine the patient with the stack of post-discharge instructions. Instead, the Post-Hospital Discharge Solution will send a text or email at discharge with a link to join a video conference. The patient simply clicks the link and the automatic video call distribution will identify the next available provider for a telehealth follow-up via computer, tablet or smartphone. The solution will continue to send reminders to the patient until they participate in a follow-up call and through this continuous follow-up, the solution ensures reduced readmission rates — helping both the patient and provider alike. 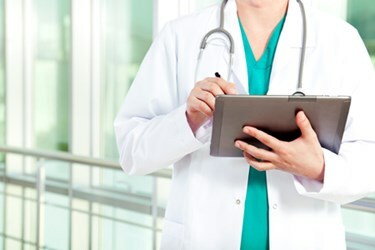 47 percent stated that they expect to add additional connected health technologies to their platform. It is great news for patients and providers that telehealth and connected health tools, like the Post-Hospital Discharge Solution, are growing and will continue to do so while supporting hospitals in meeting CMS guidelines and preventing 30-day readmissions. Lee has a proven track record with managing top and bottom line growth, mergers and acquisitions, company direction, strategy, and operational excellence. Prior to joining the Stratus team to develop a telemedicine solution, he served as President of CareCloud where he focused on strategy while managing the top and bottom line revenues. He introduced repeatable and actionable playbooks to drive a better client experience while focusing on the employee culture and career growth for the organization. Prior to CareCloud he was VP of Worldwide Sales at Eliza Corporation. At Stratus he is focused on creating seamless integration for world class patient experiences.